I adore my baby boy and wouldn’t swap him for quids. But these little ballerina booties are so sweet I can’t help but wish he had a twin sister so I could parade them about town on the ends of her feet. 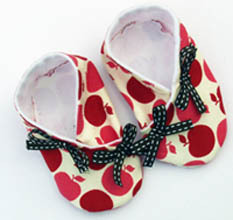 Then sanity sets in and I realise the next best thing to adorning my own baby’s toes is to share the sweetness so you can all adorn yours! 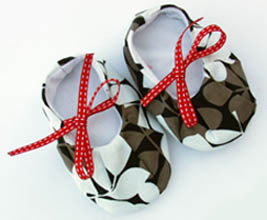 The darling little booties are custom-made in the UK in a lovely variety of designer cotton fabrics with contrasting grosgrain ribbon ties and bows. 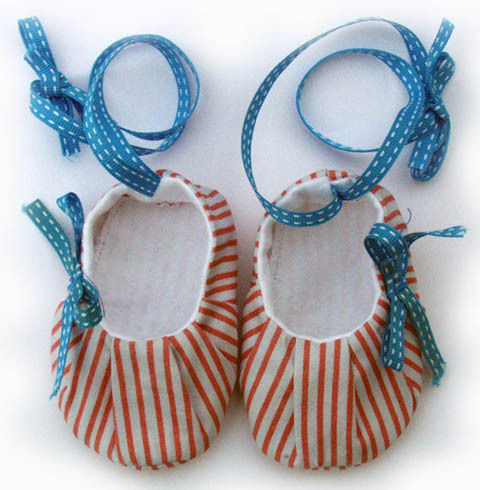 I love, love, love the pink striped ballet shoes above, with their bright blue bows. There are also kimono style booties with a little less frippery but the same completely lovely fabrics for those days when you want the va-va without the voom. 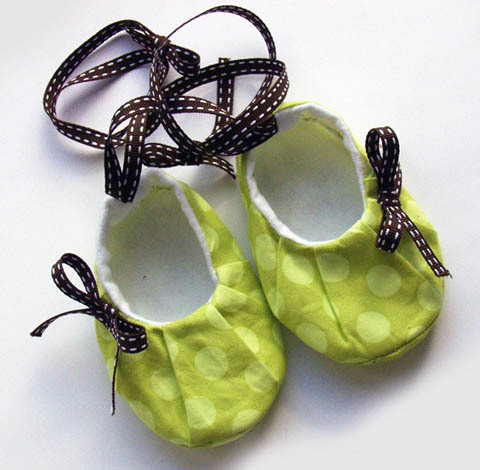 Baby ballerina booties start at US$22 and kimono booties at US$18 from Etsy seller Cazhoffy’s store. The mum-of-one also makes a rather lovely selection of playmats, change mats and burp clothes in fabrics to match her shoes. Shipping to Australia is available.